All forms of asbestos are unsafe, including white asbestos, and can result in a mesothelioma diagnosis. Even if asbestos lobbyists would want us to believe otherwise, science once again refutes the argument that some types of asbestos are less deadly than others. A new study by Richard Kradin, MD, of the Massachusetts General Hospital focused on chrysotile asbestos. The study showed that chrysotile fibers could be just as dangerous as other types of asbestos. Of the 62 people with peritoneal mesothelioma studied, more than a fourth were connected exclusively to chrysotile asbestos. Why the interest on chrysotile asbestos? The most ubiquitous type of asbestos in construction is chrysotile or “white” asbestos. The World Health Organization (WHO), and other organizations advise to “stop using all types asbestos” to end asbestos diseases worldwide, including mesothelioma. However, earlier scientific studies, plus a disinformation campaign orchestrated by the asbestos lobby, lend credence to the belief that “white asbestos” was safer than others. Diffuse peritoneal mesothelioma is an aggressive cancer that harms the membrane that surrounds the organs in the abdomen. The vast majority of diffuse peritoneal mesothelioma cases have a link to asbestos. The exposure to white asbestos happens either through work, other people, or the environment. Historically, women got exposed to asbestos fibers when they washed and handled their spouses work uniforms. When asbestos makes its way into the body, either through the lungs or mouth, it can get lodged into the membrane that covers important organs. In the case of the stomach, the membrane’s name is peritoneum. The asbestos fibers active an inflammatory mechanism in the peritoneum, which in the long run can cause mesothelioma cancer. For this study, researchers explored the health records and legal cases of 62 persons, diagnosed with diffuse peritoneal mesothelioma. The research, which appeared in the American Journal of Industrial Medicine, discovered that exposure to chrysotile asbestos caused 26% of cases. Eleven women and 51 men participated in the study. And of those who had second-hand exposure, half had solely been exposed to chrysotile. This would suggest that chrysotile is as capable as producing mesothelioma as other types of asbestos. It is worth noting that the victims of second-hand exposure to asbestos are usually the children and spouses of a person that used to work with asbestos. Decades afterward, those children -already adults-, and women, can develop mesothelioma. Past investigations have shown that the lengthier the time of asbestos exposure, the more possible it is that it will cause mesothelioma. However, a shorter period of contact isn’t really more secure. Patients in Dr. Kradin’s study had an asbestos exposure of an average of 17.9-years. 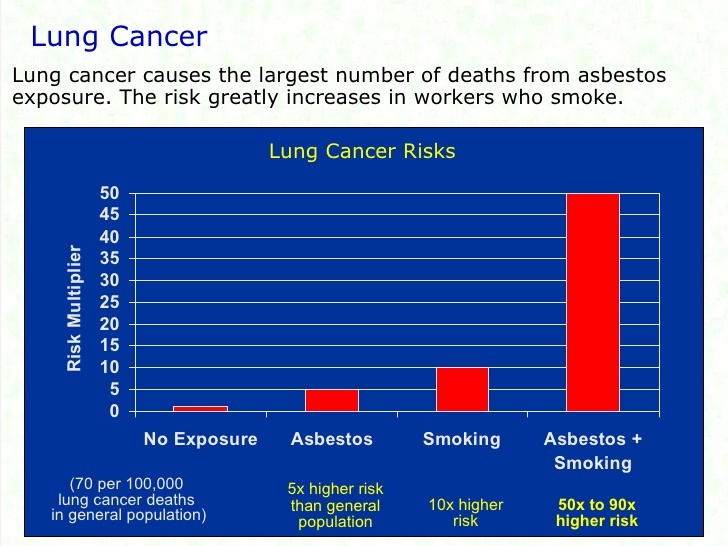 The briefest asbestos exposure was of 8-years at the time of a mesothelioma diagnosis. Those patients had their first contact with asbestos 45-years before the mesothelioma diagnosis, in average. The longer latency period was in a patient who was first exposed 57-years before. Chrysotile is present in cement, rooftop tiles, roofs, dividers, and floors of numerous homes and industrial facilities. It was widely used before the 70’s in the construction of ships, industrial plants, schools, public buildings. Even now, it is a component of many products. There are additionally five amphibole types of asbestos, including actinolite, amosite, anthophyllite, crocidolite, and tremolite. The US Department of Health and Human Services, the International Agency for Research on Cancer, and the EPA categorize all forms of asbestos as cancer-causing, potentially causes of mesothelioma. If you are suffering from mesothelioma, and suspect of exposure to any type of asbestos, you could be eligible for compensation. Contact us for to learn more.